After weeks of judicial runaround, Egyptian lawyer Karam Ghobrial has managed to find and visit his client, Egypt’s most publicly-known Christian convert Mohammed Hegazy, in Cairo’s Tora Prison. The whereabouts of Hegazy, the first Egyptian Muslim to, in 2007, fight a legal case to change his religious identity to Christian, had become a puzzling concern to his defense lawyer. Hegazy is now appealing against a conviction by a lower Egyptian court on three misdemeanor charges, all linked to his arrest in in the city of Minya, 135 miles south of Cairo, in December 2013. The last time Ghobrial saw Hegazy was at his Dec. 28 appeal hearing in the Misdemeanor Court in Minya. Brotherhood demonstrations without permission and spreading false news harmful to national interests”. In fact, Hegazy had already served more than a year in jail since his arrest, so he was immediately eligible for release, but the judge’s written verdict, expected within 40 days, is still pending. But Hegazy still has one final right of appeal before the nation’s top judicial body, the Court of Cassation. In order to file for that appeal within the 60-day deadline, his lawyer needed Hegazy’s written power of attorney. But from the day of the trial onward, Egyptian prison officials proceeded to block Ghobrial’s efforts to meet his client in person. When the Dec. 28 appeal hearing concluded, court guards refused to allow Ghobrial to speak with his client, insisting that he must first get written approval from the presiding judge. When the attorney asked where Hegazy was being held, he was told he had been sent to a prison in Minya. “I went there, but they told me he was not there, and [had been] sent to a prison in Cairo,” Ghobrial told Mideast Christian News (MCN). So he submitted a request on Dec. 29 to get a permit from the Supreme State Security Prosecution to visit him. But after he got the permit on Dec. 31, when he went to visit Hegazy in Cairo on Jan. 3, the prison told the lawyer it was an official holiday. He returned the following day, showing his permit and waiting his turn, only to be told by a prison employee that Hegazy had been sent to a Minya prison on Dec. 26 and had not since returned. When the frustrated lawyer asked for a written notice confirming that his client was still detained in Minya, the employee refused. Ghobrial then had to file a complaint to the Prosecutor General, demanding that Hegazy’s place of detention be confirmed to him, so he could obtain his client’s written authorization and file the necessary last appeal before the Court of Cassation. Later, once again Ghobrial made the four-hour train trip from Cairo back to Minya. But when he arrived on Jan. 20, the prison management told him that Hegazy had just been transferred back to Cairo two days earlier. “All they are doing with this, the delays and misinforming me about Hegazy’s location, just lying to me, is their way to annoy me on purpose and delay the legal process,” Ghobrial told World Watch Monitor. Finally on Jan. 26, Ghobrial was admitted to visit Hegazy at Tora Prison, where the convert signed the urgently needed power of attorney. Ghobrial continues to push for Hegazy’s full acquittal on what he considers a “contrived” case, declaring that the prosecution failed to provide evidence that he was guilty of any of the three charges filed against him. Hegazy still faces separate charges for “insulting Islam” on an old case revived against him last July by the Supreme State Security Prosecution in a district of Cairo. Due to longstanding prohibitions against apostasy, a Muslim who abandons his faith is considered to have committed the ultimate blasphemy against Islam. According to a 2013 Pew Research poll, 88 percent of Egyptian Muslims favor the death penalty for anyone leaving Islam. In early December, the Episcopal Bishop of Egypt and the Middle East Dr. Mouneer Hanna Anis declared publicly that Egyptian Muslims who become Christians should be issued new personal identity cards and other official documents, just as the state routinely grants to citizens from other religions who convert to Islam. 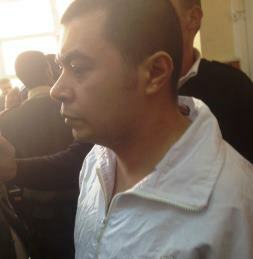 Now 32, Hegazy has not been allowed to register his legal identity under his baptismal name, Bishoy Armia Boulos. After converting to Christianity as a teenager, he had filed in 2007 to change his official identity to Christian. He and his wife, also a convert from Islam, have two children.